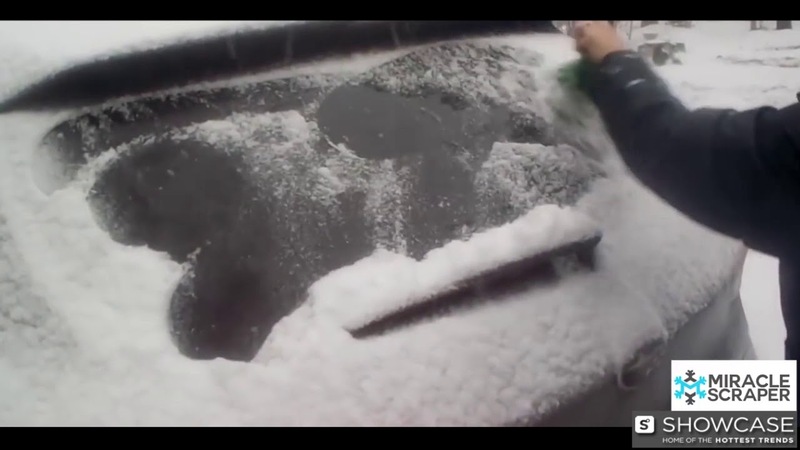 Want a simple and easy way to get stubborn snow and ice off your car? The Miracle Scraper's incredible blade edge makes removing stubborn snow & ice a breeze! For the really thick stuff, there's a spiked cap to help break it up before being swiped away in just seconds!